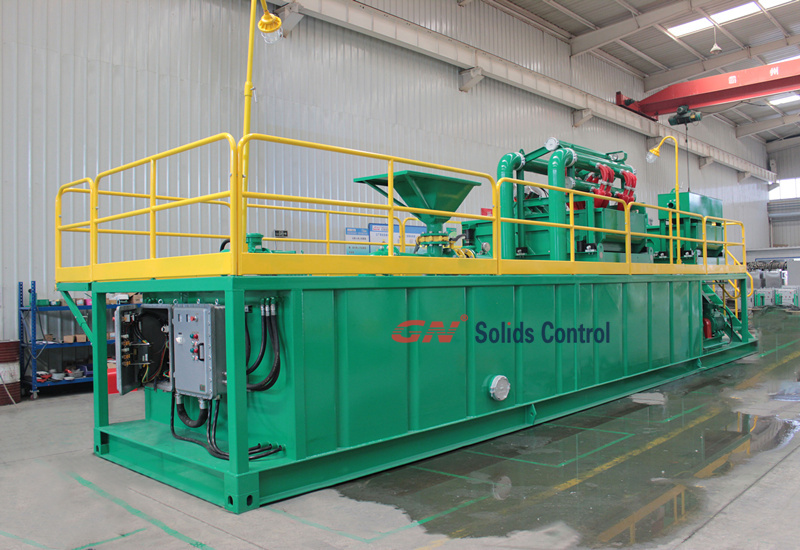 GN Solids Control mud recycling systems are widespread in the world. 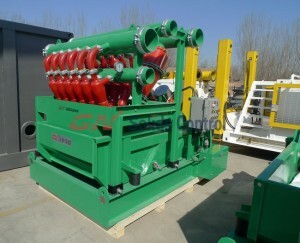 Mud systems may be used in oil and gas area in addition to HDD, TBM Drilling, CBM Drilling or Water Very well Drilling. Last year, GN offered two sets of high construction mud recycling systems to get no dig drilling to 1 Asian client. 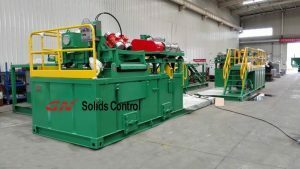 Just some days and nights before, GN Solids control provided another set soil systems for one client coming from Philippine. The dealing with capacity of this shaker will be 600 GPM. By using world renowned vibration motors like German OLI or USA Charlie, GN shaker can work to get a quite long time without cracked. 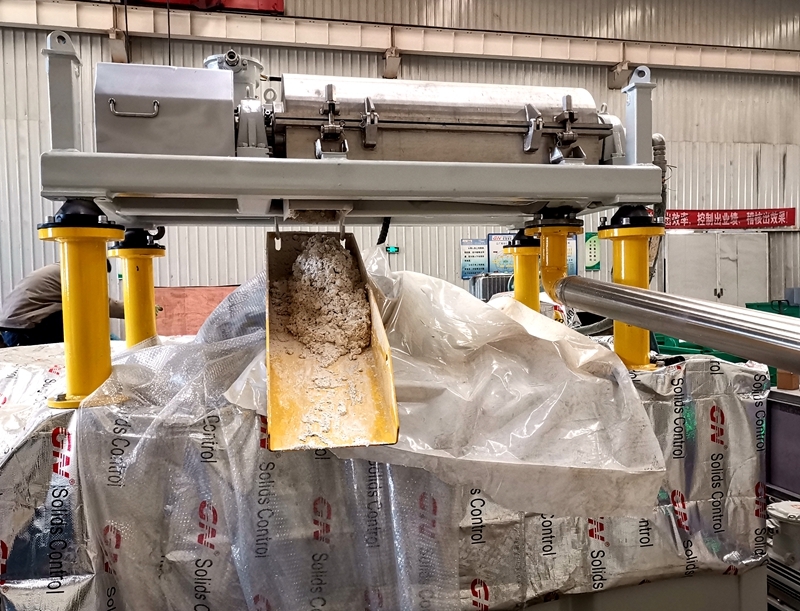 After the mud is shipped to the shaker from the serving box, the 4 portions shaker screens will distinct out most the solid waste. GN using good quality cable mesh to manufacture individuals shaker screens in order to keep going longer while also has a pretty excellent separating performance. GN likewise manufactures some other shaker window screens to replacement well-known shaker screens, such as Mongoose, Brant, Derrick etc . These 2 sets centrifuges both have one 14 inches rotating bowl. Running rate can be changed easily by employing touch screen when using the VFD manage box. GN VFD package is using ABB or Siemens electrical components for long life use. Different explosion proof cardboard boxes can be customized based on customers’ demands, such as IEC, ATEX. The first variable speed centrifuge is rotating at a decrease speed compared with the second just one. It mainly used to separate out and about those solids with a greater diameter. On the other side, the second centrifuge is used to separate finer debris at a higher speed. These 2 screw pumping systems are used to feed the decanter centrifuge without agitating the soil too much. 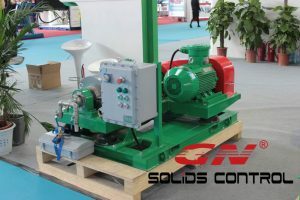 GN is using well-known positive displacement pumps Netzsch. All the above equipments tend to be fixed on one mud aquarium. Oilfield operation need various electrical equipment like control panels, electrical motors and so on. All these electrical equipment performing well make sure the entire project job done well. But the most import is a safe working environment on the oilfield as there is the risk of explosion any time during oilfield operaton. 1. Zone 0 – Under normal operation condition, the gas explosive exists continuously. Always more than 1000 hours per year. 2. Zone 1 – Under normal operation condition, the gas explosive exists sometimes. More than 10 hours buy less than 1000 hours per year. 3. Zone 2 – Only under abnormal operation condition, the gas explosive exists. Always less than 10 hours per year. The Zone 0 always represents some airtight space such the gas storage tank. On the oilfield, the Zone 1 represents the area around the drilling rig. And the area which includes the space for mud recycling system, mud pump, water tanks and other drilling field equipment. As per the minimum ignition power required, the gas explosive are classified as 4 degrades separately Ⅰ,ⅡA, ⅡB, ⅡC. This classification can also be treated as the equipment group. The equipment used in group Ⅰ is for mining industry. Group Ⅱ is for other industry working environment. The equipment used in group ⅡC can also be used in ⅡA, ⅡB which means the equipment in Group ⅡC has a higher explosion proof level. 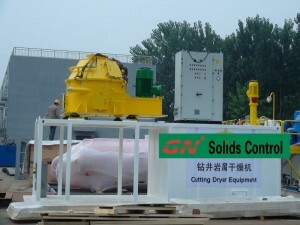 GN could provide the solids control equipment with motor and control panel explosion proof certified. The explosion proof level is ExdⅡBT4 which could meet the demand of gas explosive Zone 2. 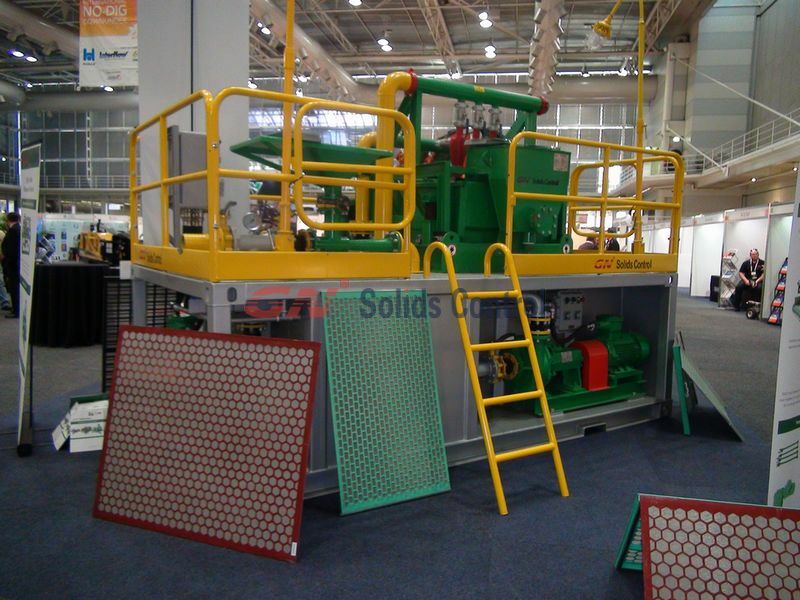 Drilling fluids mud desilter is the 3nd stage solids control equipment. It is usually used after desander. For mud cleaner used for oil and gas drilling field, 4 inch deciliter cone is the most frequency be used. It can remove solid particle around 30~70 microns. 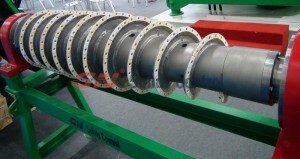 Main part of drilling fluids mud desilter is the hydrocyclone cone (desitler cone). It is a kind of pressure device. The separation process is carried out by employing centrifugal forces. Under pressure, drilling fluid with solid particles will flow into the mud desilter cones, after high rotation, bigger and heavier particle will be threw to cone wall, then slide down till drop in apex and separated out. Clean fluids will be moved out from cone top port. 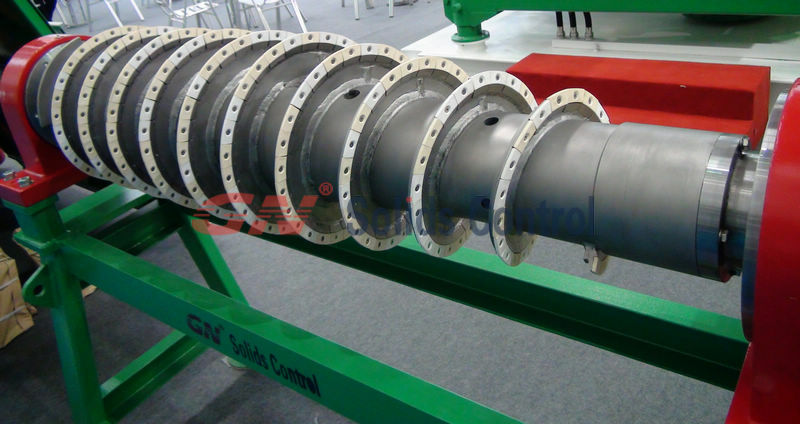 So, there will be 2 rotary gas flow in the drilling fluids mud desilter cone, one is liquid contains quantity big solid flow down as cyclone, the other is smaller solid mixed with gas go up as bow wave. The angle of the fluid entry has been specifically designed to facilitate the flow and separation. The Cones are made of high durameter polyurethane with optional steel inserts, which ensure consistent productivity. Desilter Cones remove fine sand and silt down to 30 microns. Desilter Cones are available of 4″ size that have a 2″ inlet and a 2″ outlet. 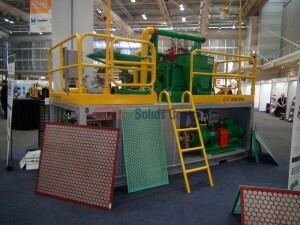 From design, there are mainly 2 types of mud desilter: with under flow shale shaker or without under flow shale shaker. 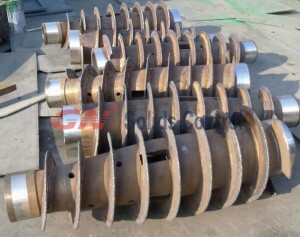 For different capacity, the desilter cone can be used from 4 each to 24 each. Users can choose suitable models per his jobsite detailed condition. 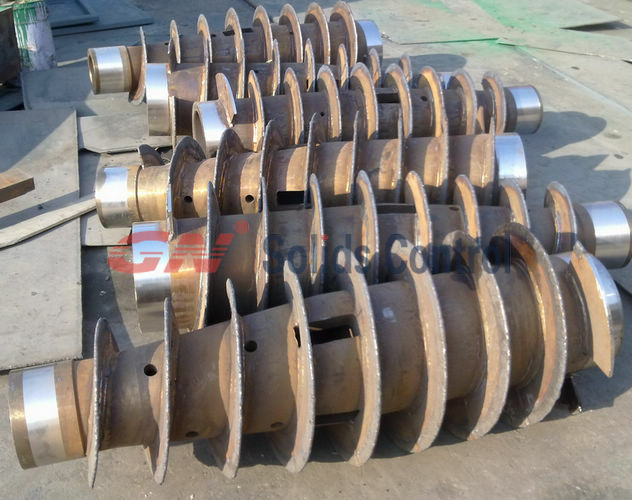 There are mainly 3 types protection for solids separation centrifuge propeller screw. Many customer do not know the difference of them and wondering about how to choose the suitable one for its centrifuge. Below is the elaborate for the difference of the 3 screw protection design. 1) Tungsten carbide hard surface for screw protection: It is the most common type in China. Nearly all other companies make this type, besides GN Solids Control Co., Ltd. It is easy for process, and cost lower. But the height of the welded Tungsten carbide on the screw surface is very thin, only around 1mm. This type of centrifuge is cheaper, but not good at anti-friction and anti-abrasive. 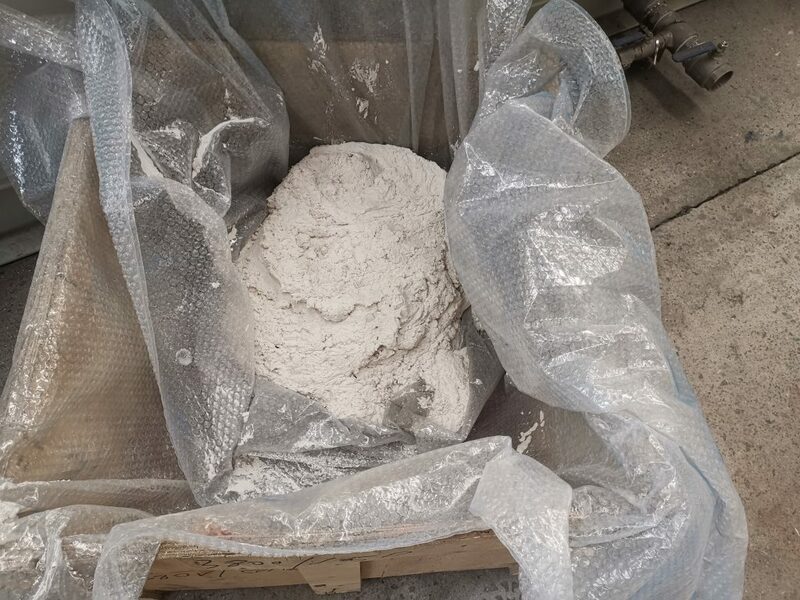 If the solids content high, after half year or 1 year, not more than 2-year time, the Tungsten carbide hard surface will be worn out and the centrifuge will lose balance. The users need to open the centrifuge bowl, welding again to maintenance it and make dynamic balance again. It requests the operator with a higher specialty, and more cost on maintenance. 2) Interchangeable ceramic tiles for screw protection: It is interchangeable small pieces, with exact same weight and dimension. It is strong. And mostly, it has a higher function on anti-abrasive under heavy Acid / Soda corrosion, even better than Tungsten Alloy Tile. Therefore it is mostly used for mining industry. Its cost higher than Tungsten carbide hard surface. The height of the each ceramic tile is reach to 4mm, much more anti-friction than Tungsten carbide hard surface. Users only need to replace the worn out piece with new one, new need to make dynamic balance. Easy for maintenance. 3) Tungsten Alloy Tile for screw protection: It is the most perfect one and most anti-friction. It is interchangeable small pieces, completely made from each piece with exactly the same weight and dimension. It is the most expensive type, as the material is expensive and a higher request on machining Précising. The height of the each ceramic tile reaches to 4mm, much more anti-friction than Tungsten carbide hard surface, and even strong than ceramic tiles. It is mainly used for barite recovry, fine solids separation and drilling waste managment field. 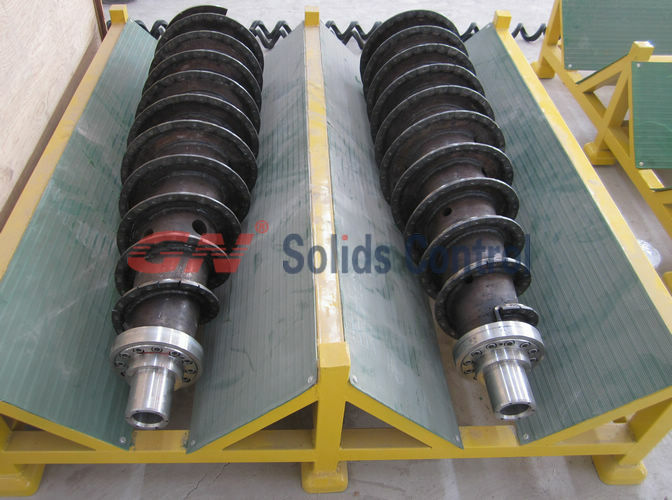 As world famous manufacturer on solids control and waste management centrifuge and vertical cuttings dryer, GN Solids Control offer centrifuges with ceramic tile or tungsten alloy tile. Tungsten carbide hard surface do not recommended. The users can choose ceramic tile or tungsten alloy tile according to its real condition and its budget. GN have just came back from Australia from a NO DIG drilling show there. 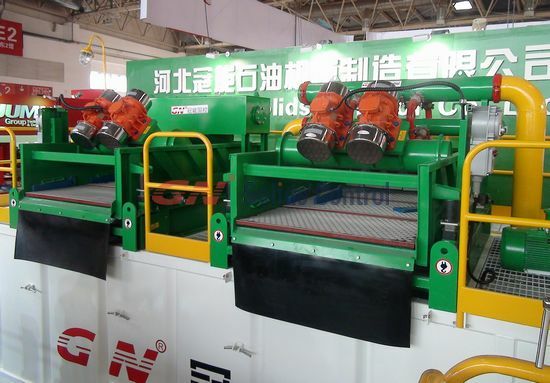 GN take a compact 200GPM drilling rig mud system for the show. The mud cleaning system is in stock for sale now. It is a complete mud cleaning system with a tank, a double deck shaker with mud cleaner, mixing system, electric control system, and tank accessories. 1) The double deck shale shaker is combined function of shale shaker and mud cleaner, but much more compact and have a very limited footprint. If you have interest on the system, contact GN group freely for more information. 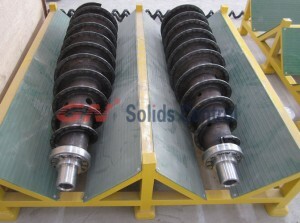 Shale shaker is the act as the first stage solids control equipment. Its performance important to the whole system. If the shale shaker can work well, it can greatly improve the lifetime of next stage equipment. Vibration of the shaker basket creates G-forces which help drive shear thinning fluids such as drilling mud through the screens. Vibration also conveys solids off the screens. Most linear motion shakers operate in the range of 3 to 4 G’s to balance throughput with screen life. G-force is a function of vibration frequency (rpm) and stroke length. • “High-Speed” should not be equated with “high performance”. Laboratory tests indicate that, in the normal operating range for linear motion shale shakers, lower frequency vibration and longer stroke lengths improve throughput capacity. Most linear motion shakers operate at 1200 to 1800 rpm. • Avoid deck inclinations above 3˚. High deck angles reduce solids conveyance and increase the risk of grinding soft or friable solids through the screens. • Shakers are designed to accept either hookstrip or rigid frame screen panels. Hookstrip screen panels are the most common and are usually cheaper, although cuttings wetness can be a concern due to deck curvature. Flat, rigid frame panels promote even fluid coverage, but can cost more. • Shakers may have single or tandem screening decks. Single deck shakers offer mechanical simplicity and full access to the screening surface. Single deck shakers may be arranged to process mud sequentially as a “cascading” system to improve performance under high solids loading conditions. Tandem deck shakers offer improved processing capacity under high solids loading conditions when space is limited. 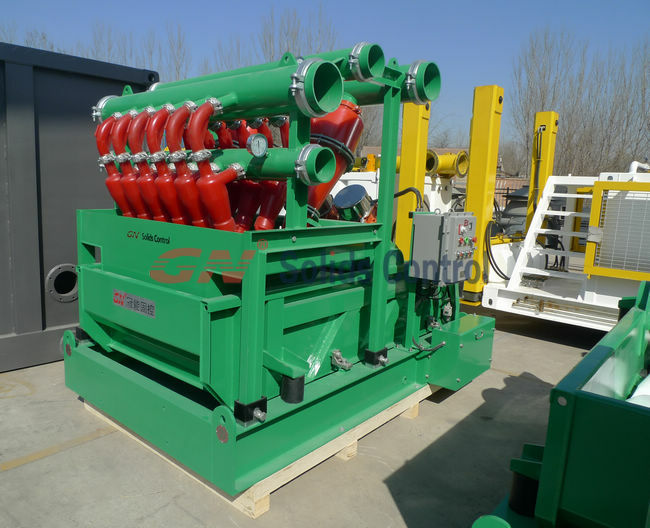 Solids control equipment are widely used in mining industry for mining dewatering. 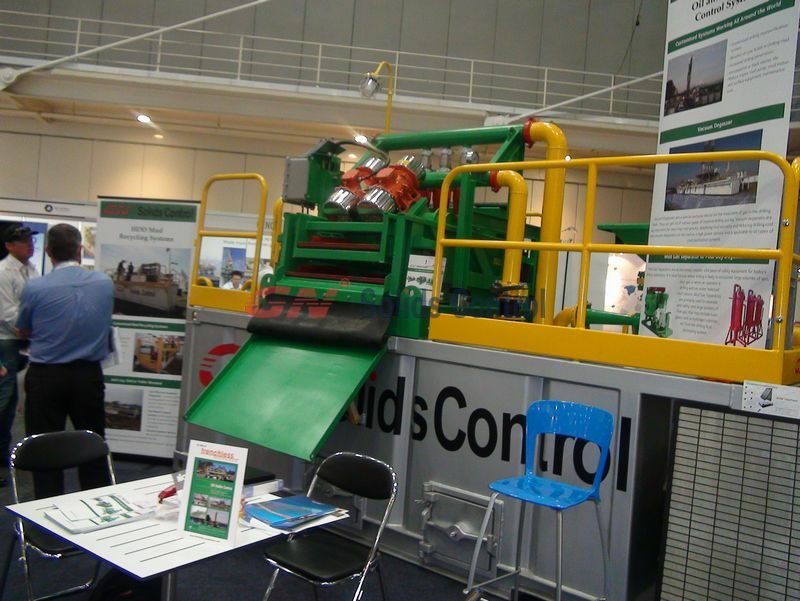 In about last year, we give a solution for slime dewatering in mining. 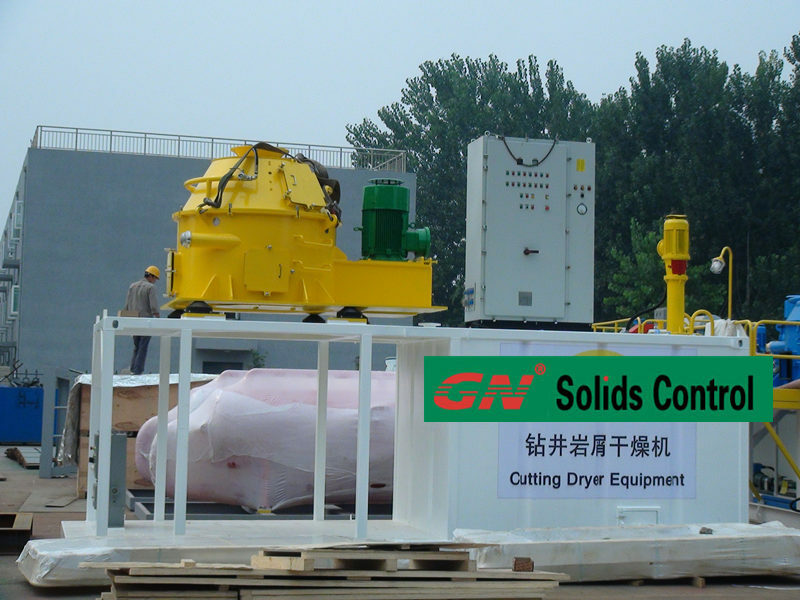 Here is the Q&A of Slime Dewatering System. 1) The particles, it is better if we can have a curve to show how many bigger ones, how many smaller ones. 2) What are you aim to, get the clean water for environment friendly, want some of the particles for economy purpose? 3) Sometimes density and viscosity of the drilling fluid is needed. 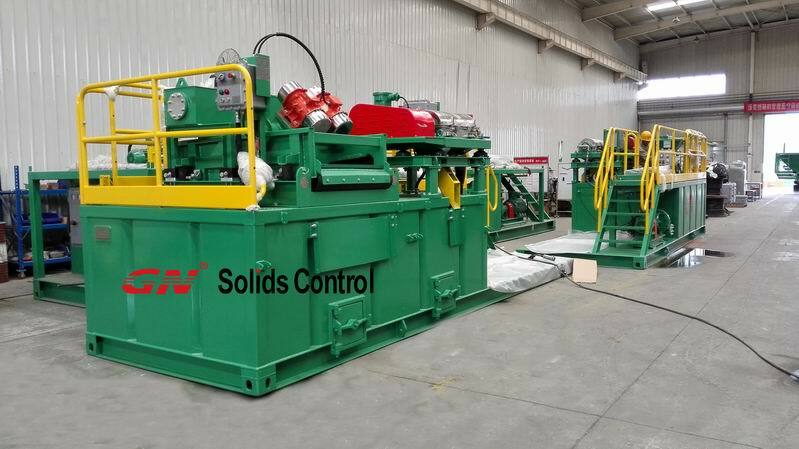 As shown in the picture, we choose our GNZS83-2 two panel linear motion shale shaker, ZQJ100s with PU hydrocyclones. Then we can get mixed water with particles less than 15 microns. Then if still need cleaner water, we can add decanter centrifuge. 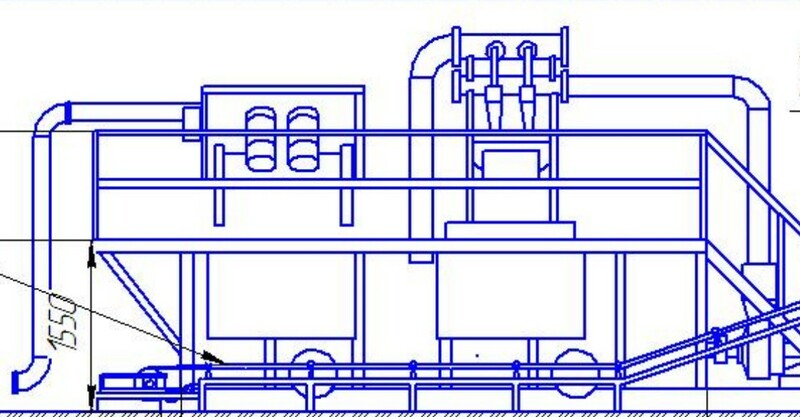 Thi is a system for hydromining to Turkey, we also customized kinds of system as required.